The publication for lovers of early 20th century style, culture, music, and more! Subscribe to the Zelda Newsletter! Join for the latest info about Zelda Magazine. We'll let you know when new issues are available and when we are sponsoring new events! Advertise in Zelda Magazine Issue 20! A Zelda Magazine Holiday Special! Zelda Magazine Issue 19 is here! Issue 18 of Zelda Magazine Has Finally Arrived! Zelda Issue 16 is available for purchase now! Zelda Magazine is proud to co-sponsor the Intrepid: Battle of the Big Bands, May 27th in NYC. The ADSCA Art Deco Preservation Ball! New Zelda Issue Out Soon! Want to advertise in Zelda Magazine? Green Fairy at the Red Room January 5th! Get ready for the Holidays with Zelda Magazine! More December Jazz Age Events! So many Jazz Age Events in December! Zelda Magazine Presents: Absinthe: Divine spirit or Sinful Fiend? Zelda Issue 14 is available for purchase! Zelda Issue 13 Is Available For Purchase! Advertisers! Contact us to advertise in the next issue of Zelda Magazine for Fall/Winter 2015! Zelda Issue #12 is available now! Zelda Magazine at the Jazz Age Lawn Party! Advertise in Zelda Magazine’s Issue #12! In time for the holidays: Zelda Magazine Issue Eleven is now available for purchase! Advertise in the next issue of Zelda Magazine for Fall/Winter 2014! The Roaring Twenties Lawn Party at Castle Hill on the Crane Estate July 27th! Zelda Issue Ten is Now In Print and Available For Purchase! Zelda Magazine Issue 10, coming soon! Advertise now in Zelda Magazine! Advertise in the next issue of Zelda! Happy Holidays from Zelda Magazine! Send Zelda Magazine as a gift! Zelda Magazine Issue #9 In Time For The Holidays! Zelda Magazine Issue 8 launches! Announcing the Six Issue Bundle! Get (or give) Zelda for the holidays! The latest issue of Zelda Magazine is available now for purchase! Advertise in Zelda Magazine Issue 7! Zelda Magazine Issue 6 is now available for purchase! Advertise in Zelda Magazine Issue Six! Zelda Magazine reviewed at Jazz Lives! Zelda Magazine Issue Five is available for sale! Zelda Magazine Issue Five Ads! Issue 5 Approaching! Advertise with Zelda! NYC: The Liberty Belle Spectacular! 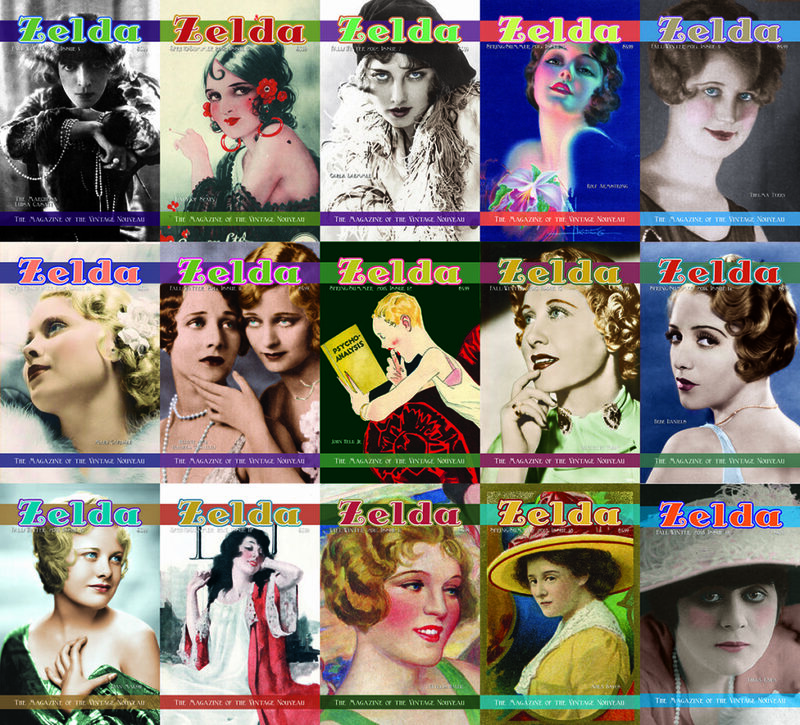 A Big NYC Zelda Weekend – Jazz Age Lawn Party & Wit’s End! Zelda at Vintage Vivant – Austin, TX! Zelda Issue 4 Party : Moonlight Rendezvous! Launch of Issue 4 & Zelda’s New Look! Do you have products or services for the Jazz Age/Vintage music, art, literature, dance, etc crowd? We are taking new advertisers for the next issue of Zelda Magazine!